If you are looking to welcome a puppy into your home as part of your family, this is the place to be! 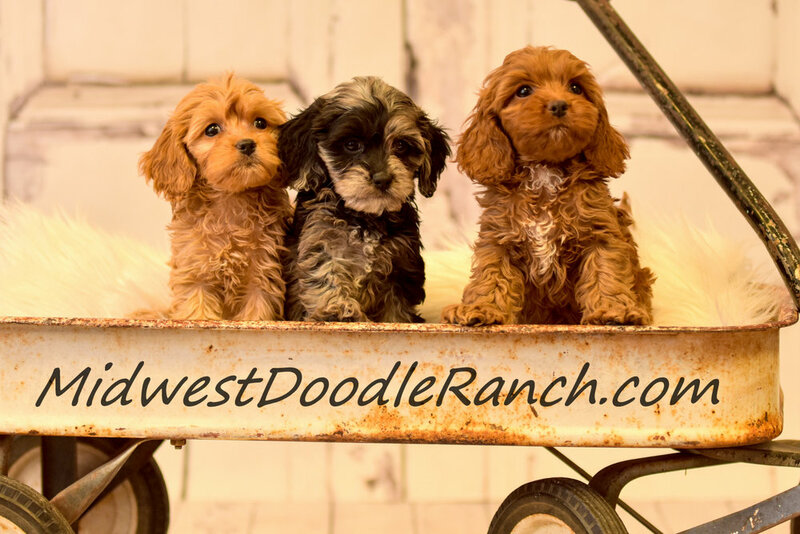 Here at the ranch we have been uniting beautiful puppies with happy families since 2006. We are accepting deposits now for our current available Cockapoo puppies and upcoming 2019 MIni Bernedoodle litters! We take pride in raising some of the best looking, healthiest pups you will find! We have become very fond of the wonderful traits that the doodle hybrids possess! We have also enjoyed raising our pups, seeing them go to their new homes, and meeting new people. Our website stays up to date. 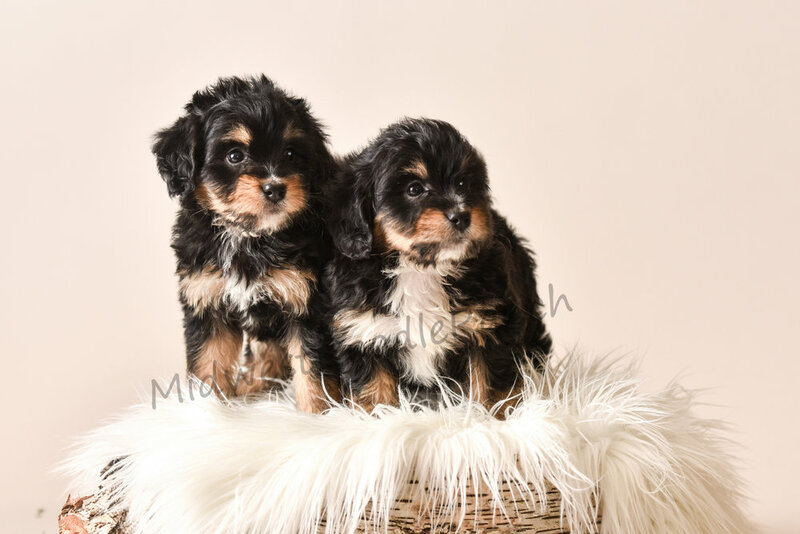 Visit the Bernedoodle link to learn more about our Mini Bernedoodle puppies. 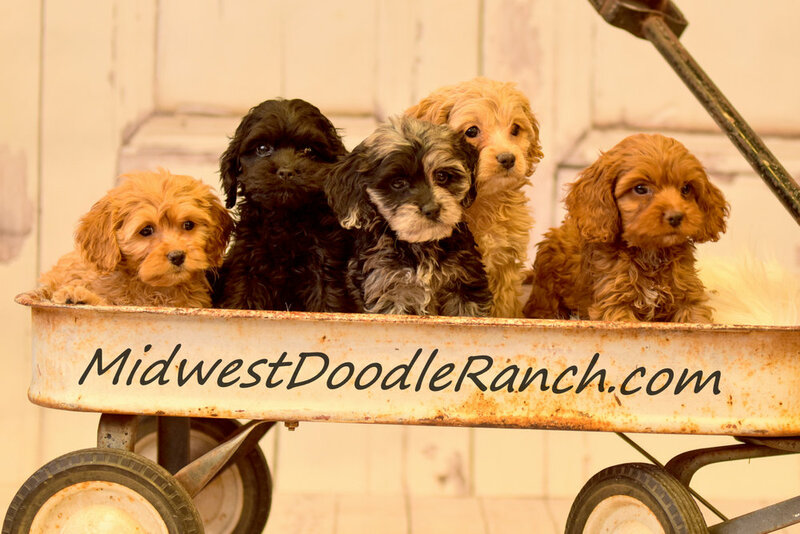 Also check out our Cockapoo links for more info on our beautiful colored Champion Bloodline Cockapoo puppies. We sit nestled between Lincoln Nebraska, Des Moines Iowa, and Kansas City Missouri. We have placed our pups in homes from New York to California, and even a few in Alaska, so getting them to you is not a problem. It is very easy for us to meet our customers in person from places like Denver Colorado, Minneapolis Minnesota, Chicago Illinois, and Dallas Texas. We have Paypal available, so anyone can make a safe and easy deposit on your puppy through our website today! Thanks for visiting! Hope you enjoy seeing our babies! Feel free to contact us anytime with questions!